And she does. A cheeky dolphin lady named Daisy is behind the tickle attack. Daisy is a specially trained therapy dolphin that worked with Marie for two weeks. This made a dream come true for the little girl from Neustadt. 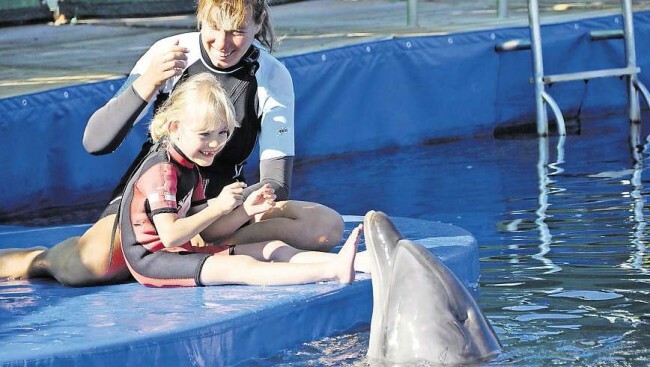 Thanks to many SZ readers, a dolphin therapy in Turkey for the half-paralyzed child was made possible. „Marie wasn’t afraid at all”, says mother Kerstin Schwarze. It seems as she had always been swimming with dolphins. Marie was able to work with five of these mammals, always accompanied by trainers. Marie was allowed to pet the animals and throw rings for them. They gently pulled Marie through the water. The six-year old had to focus very hard and listen to the instructions. When Marie was splashing too much, the dolphin splashed back as well. “The size of the animals didn’t impress her at all”, says her mom. Marie interacted as self-confidently with them as with her friends in daycare. “It was beautiful to see how she was blossoming”, says Kerstin Schwarze. Ten times her daughter was allowed to dive with the dolphins. Physical therapy and osteopathy sessions were part of the program as well. Everything together has the goal of improving Marie’s state of health. Now the bubbly six-year-old is back in her hometown. She looks at the pictures and videos on the computer again. Marie smiles. “It was great”, she says and crawls into the garden. It is already apparent that Marie has made progress. The girl is able to stand better. A first step without help works as well. Things that Marie wasn’t able to do up until now. She is also using her right hand more after the therapy. She had been hardly able to use it before because of the paralysis. “And Marie thinks better”, says her mother. She is more attentive, more calm and able to concentrate on one thing. “Dolphin therapy always yields results, even though it is only small improvements in the beginning”, father Thomas is convinced. Marie grew up in those three weeks. And she learned new things. She does a somersault in the garden and shows how athletic she is. Marie somersaults through the grass three times. Then she cuddles up to Benny the family dog. “I missed you”, she whispers in the ear of the Golden Retriever. Because Benny was not allowed to come on the vacation to Turkey. Family Klaus took care of him during that time. “We want to thank you very much for this”, father Thomas Schwarze says. 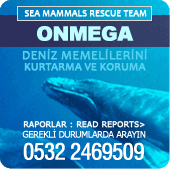 And they also want to thank the many donators who financed the 8,000 Euros worth of costs for the dolphin therapy. “The willingness to donate was and is incredible”, says Marie’s dad. Already, family Schwarze is able to plan a second therapy for 2014. Part of the costs is already financed. “We cannot afford this by ourselves though”, the truck driver says. Read the original article of SEBNITZER ZEITUNG in PDF form.